WACO, Texas (Jan. 14, 2016) – Baylor University has named Michelle Rae Hebl, Ph.D., Martha and Henry Malcolm Lovett Professor of Psychology at Rice University, as the 2016 recipient of the Robert Foster Cherry Award for Great Teaching. The Cherry Award is the only national teaching award – with the single largest monetary reward of $250,000 – presented by a college or university to an individual for exceptional teaching. The award program is designed to honor great teachers, stimulate discussion in the academy about the value of teaching and encourage departments and institutions to recognize their own great teachers. 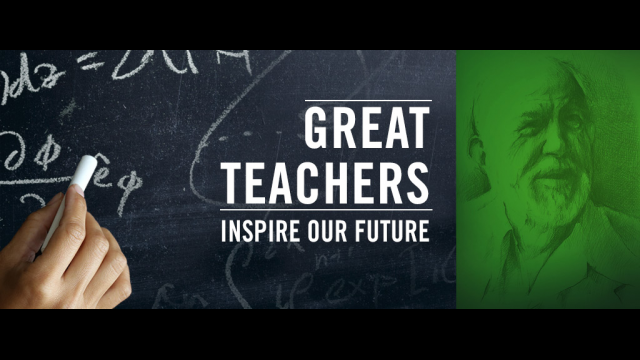 Along with a record of distinguished scholarship, individuals nominated for the Cherry Award have proven themselves as extraordinary teachers with positive, inspiring and long-lasting effects on students. "The Robert Foster Cherry Award for Great Teaching committee was very pleased with the strength of the nomination pool for the 2016 award. Each of the three finalists had successful campus visits in the fall, during which they were able to present a public lecture and guest lecture in two undergraduate classes offered by their host departments," said Michael W. Thompson, Ph.D., committee chair and associate dean for undergraduate programs in Baylor's School of Engineering and Computer Science. As the 2016 Cherry Award recipient, Hebl will receive the $250,000 award and an additional $25,000 for the psychology department at Rice University. She is expected to teach in residence at Baylor during the spring 2017 semester. Hebl was named a finalist, along with fellow distinguished teacher/scholars Teresa C. Balser, Ph.D., professor of soil and ecosystem ecology at Curtin University, and Lisa Russ Spaar, M.F.A., professor of English and creative writing at the University of Virginia. As Cherry Award finalists, each received $15,000, while their home departments also received $10,000 for the development of teaching skills. 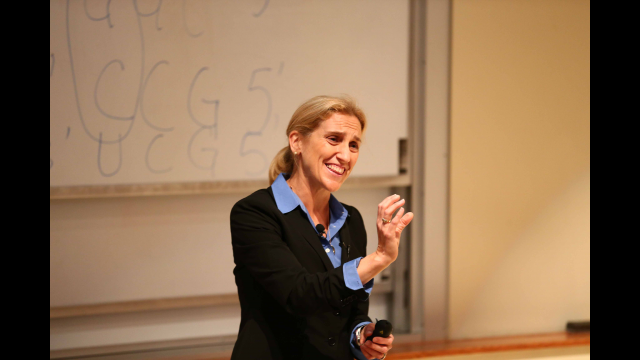 Hebl visited Baylor in October 2015 to present her Cherry finalist lecture, “Mindbugs and Gorillas and White Bears, Oh My!” In that public lecture, she demonstrated how even the most high-intentioned and educated people hold biases, possess skewed beliefs about themselves and express discrimination toward others. Hebl earned her B.A. in psychology with high honors from Smith College in 1991, a master’s degree in psychology from Texas A&M University in 1993 and a Ph.D. in psychology from Dartmouth in 1997. 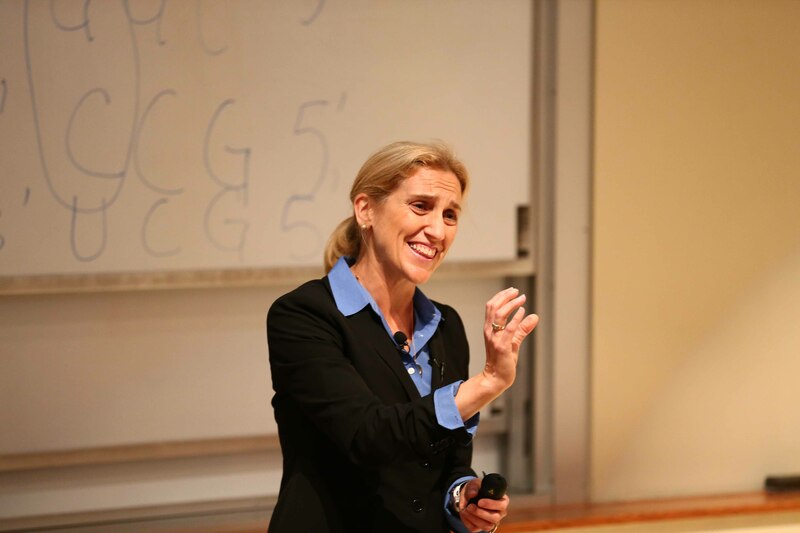 She serves as a professor of psychology at Rice University, where she has worked since 1998. In 2002, she was a visiting scholar in Stanford University’s psychology department. Hebl has received research grants from the National Institute of Health, National Science Foundation and the National Cancer Institute. She is an applied psychologist whose research focuses on issues related to diversity and discrimination. Specifically, she examines subtle ways in which discrimination is displayed and how such displays might be remediated by individuals and/or organizations.